A unique blend of slow digesting plant-based proteins used to help promote vegan overnight nutrition! 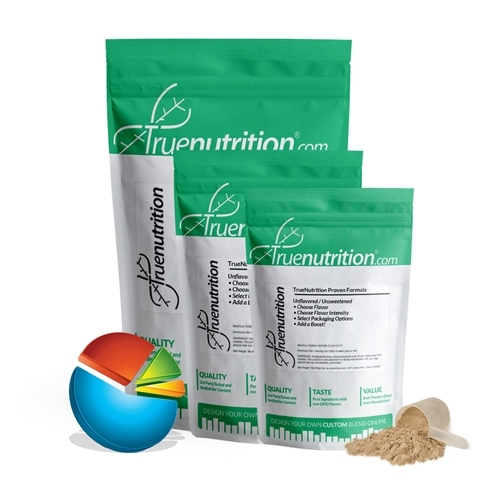 True Nutrition proudly presents our signature Vegan Overnight Formula, a unique blend of slow-digesting plant-based proteins used to help support overnight nutrition! When combined with a rounded diet and exercise routine, the Vegan Overnight Formula provides protein powders that digest over a period of several hours throughout the night. Providing 20g of slow-digesting vegan protein to help support muscle-building! Uses: Supports Overnight Nutrition Provides 20g of slow-digesting vegan protein to help support muscle building! Pea Protein Isolate, Rice Protein Concentrate, Avocado Oil Powder (Avocado Oil, Maltodextrin), Virgin Olive Oil Powder (Virgin Olive Oil, Maltodextrin). I literally LOVE this product. The texture is on point and I got great results from it. Definitely going to reorder.